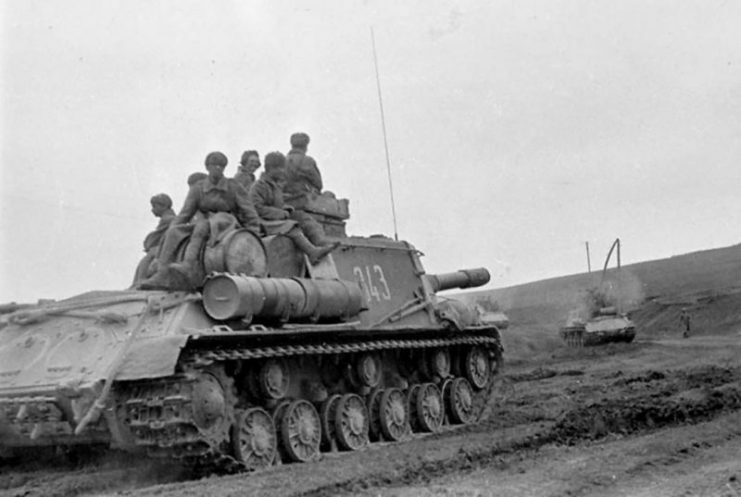 When Panthers rolled alongside Tiger tanks on the Eastern Front, eyebrows were certainly raised at the Soviet High Command. 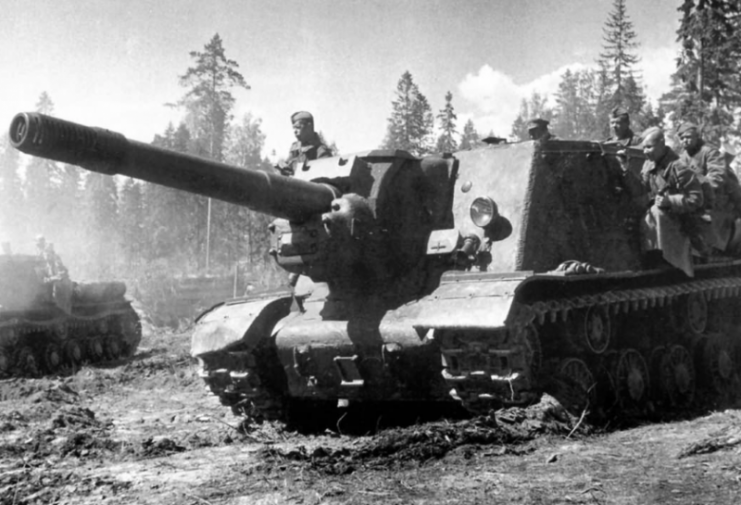 How to overcome these mechanical beasts, whose firepower was only surpassed by their armor? 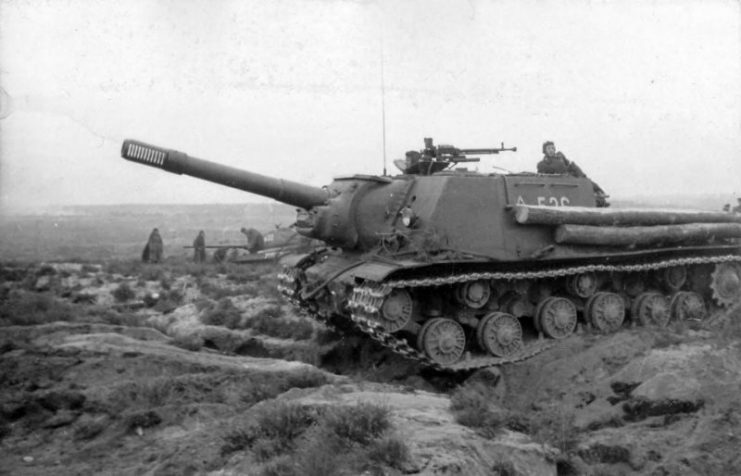 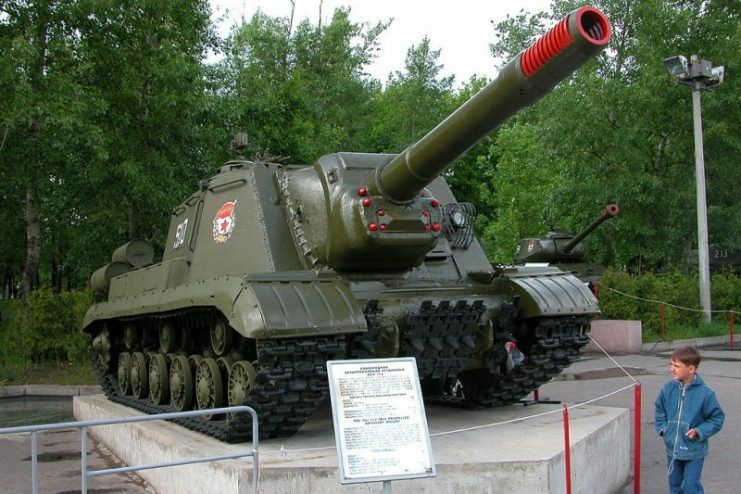 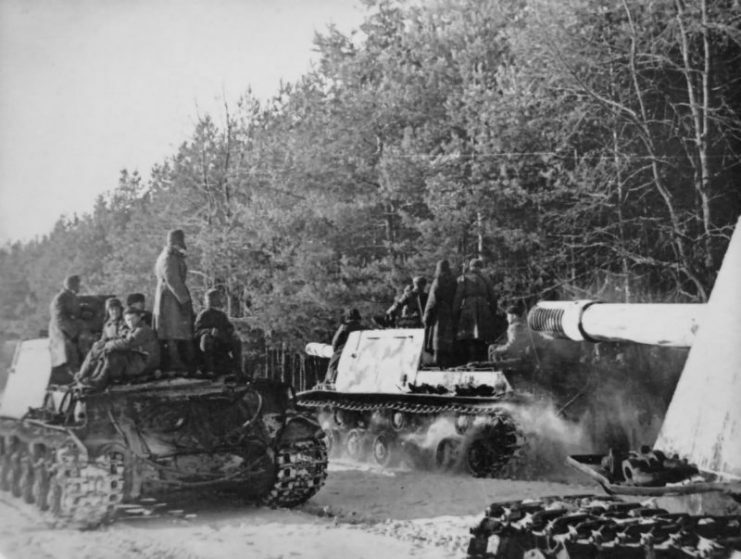 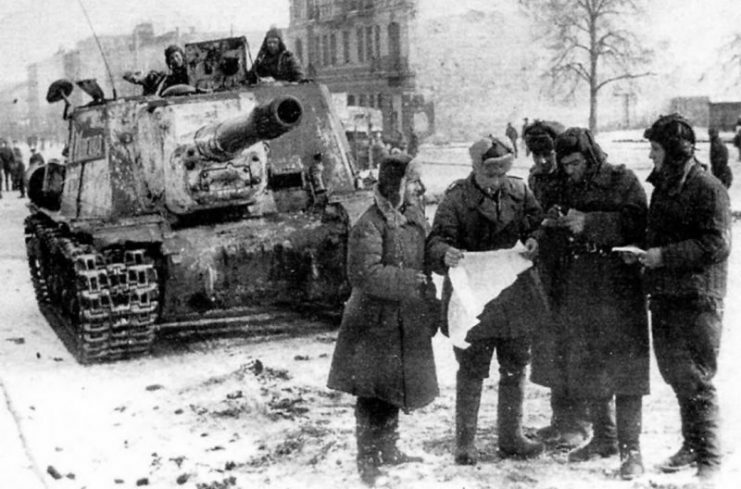 Well, by introducing one of the heaviest self-propelled artillery pieces of the war―the famous ISU-152. 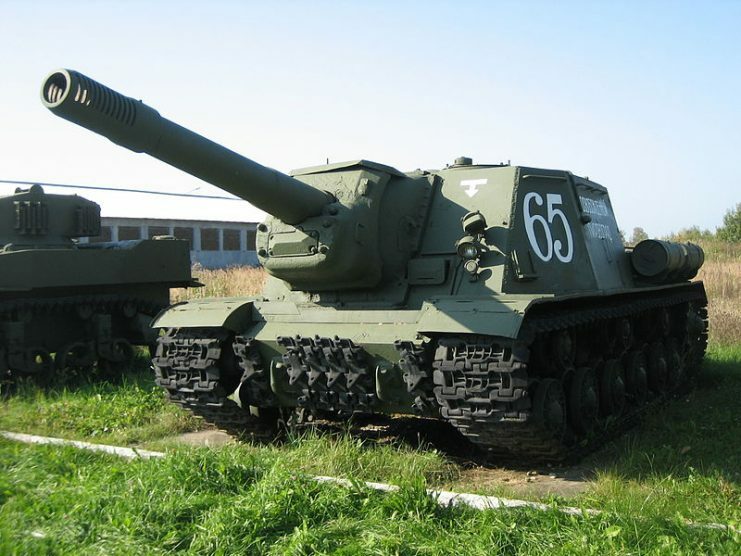 Nicknamed “The Beast Killer,” it featured a 152.4 mm gun with a multi-role purpose of knocking out heavy tanks, destroying enemy fortifications, and providing artillery support for more mobile units during offensive operations. 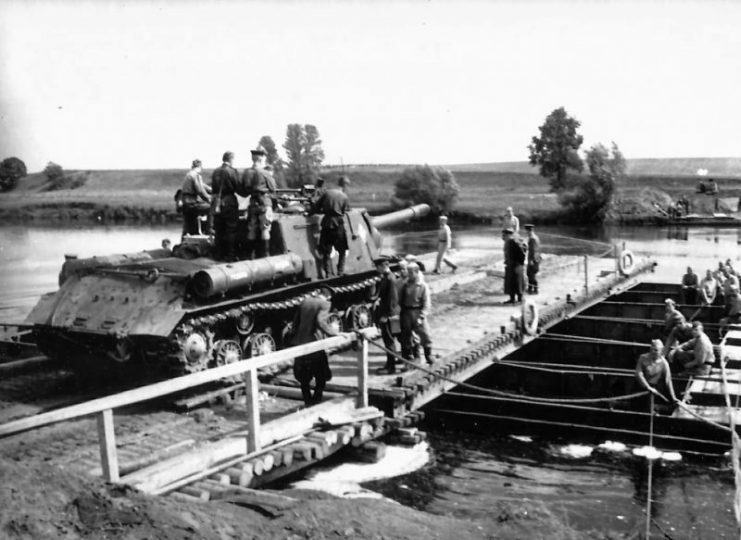 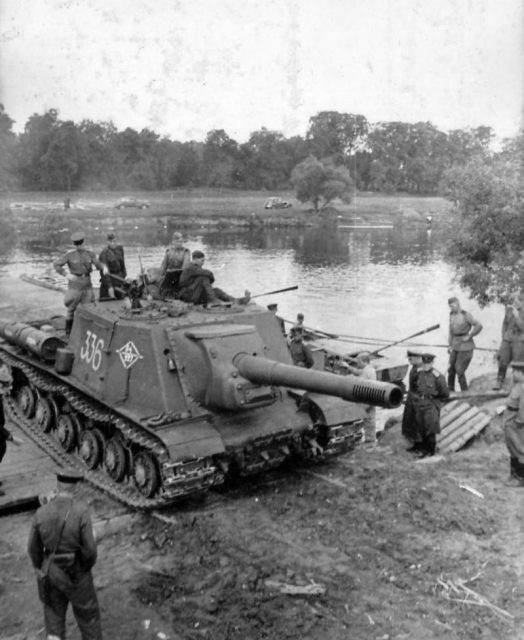 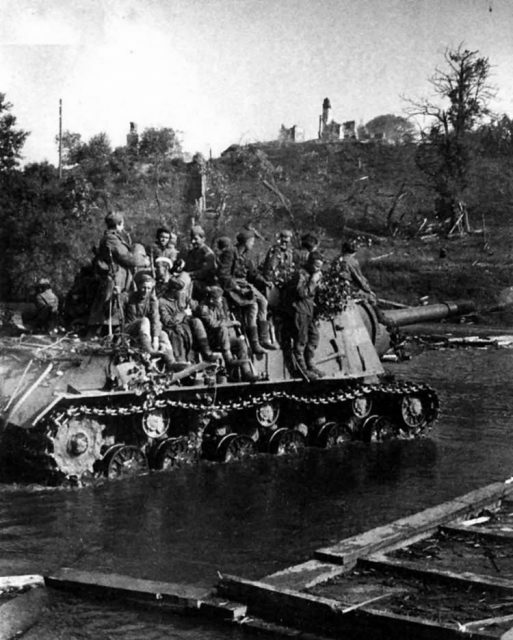 Following the development of its predecessor―the SU-152―which was fitted on the chassis of the already outdated KV-1 tank, the ISU used the platform of the newly-developed IS tank series. 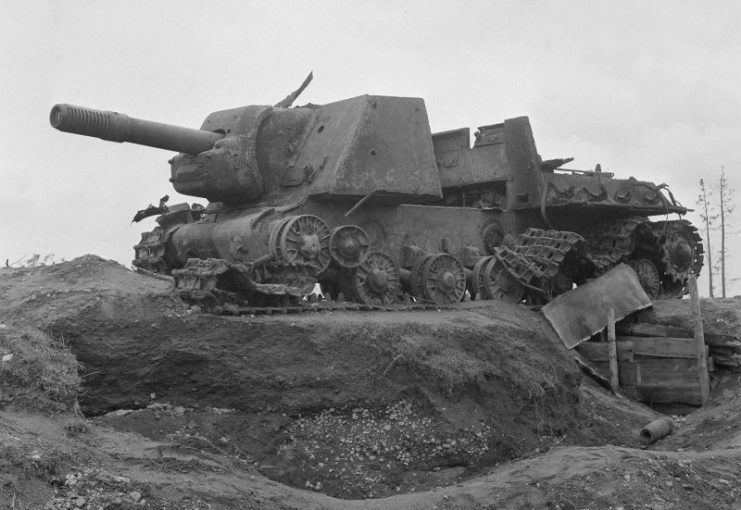 This gave way to a vehicle practically immune to most of the German anti-tank arsenal. 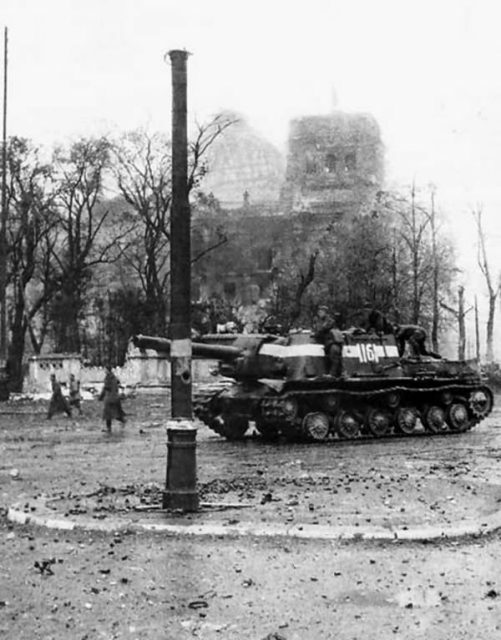 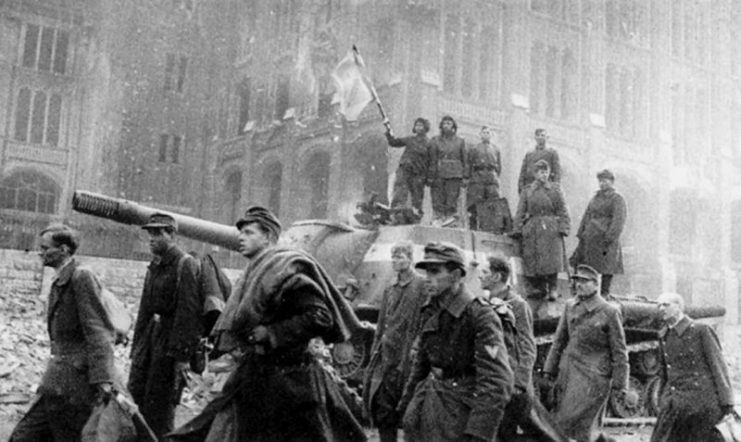 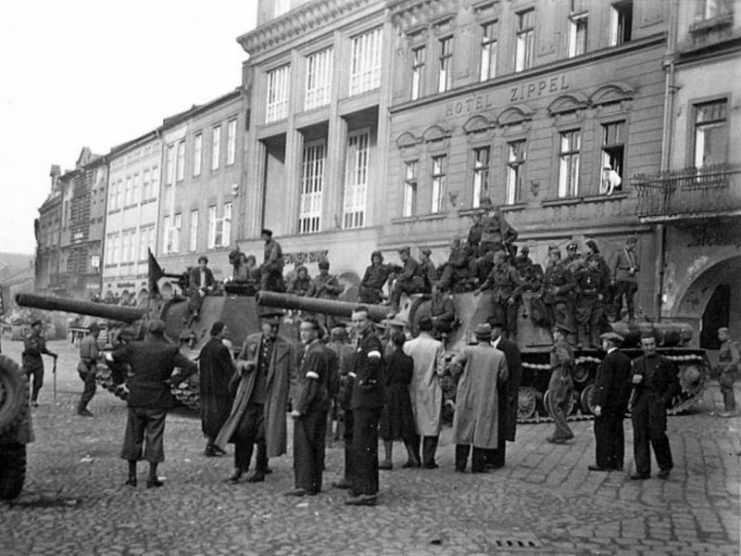 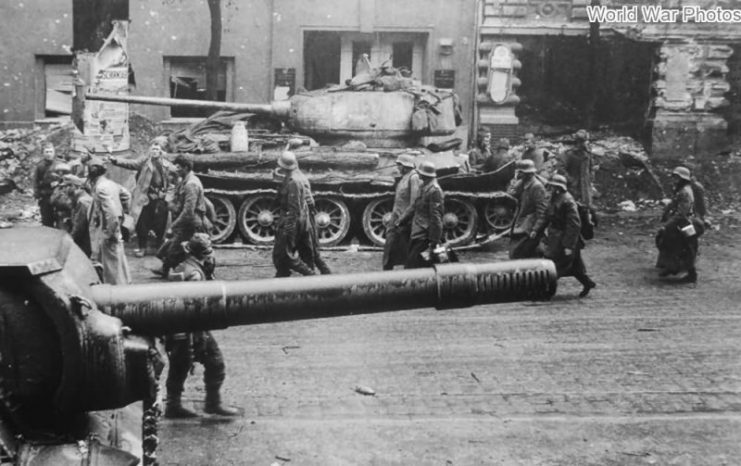 Provided with a tracked platform, its offensive role proved pivotal during battles in urban areas such as Berlin, Budapest, and Königsberg, where it often clashed with well-fortified last stands manned by fierce resistance fighters. 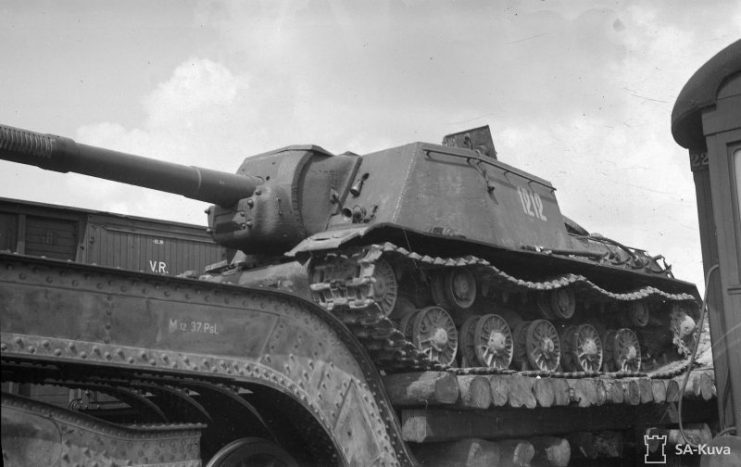 After first rolling off the factory tracks in December 1943, it went into mass production, eventually leading to 1,885 units manufactured by the end of the war. 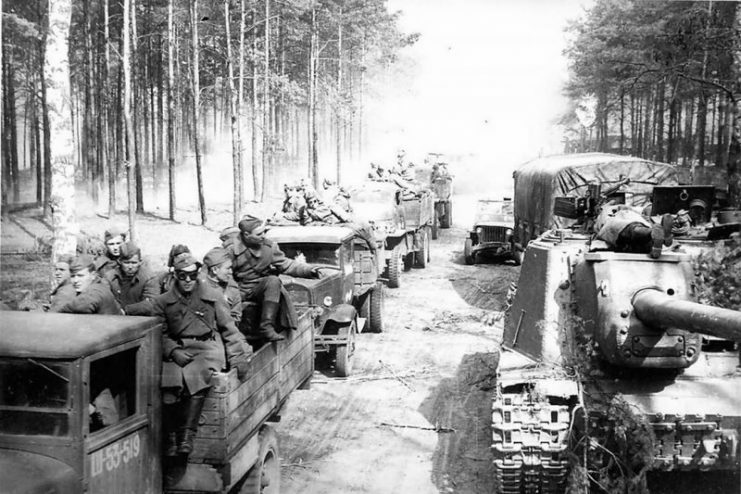 By 1947, when production ceased, there had been 3,242 vehicles produced in total. 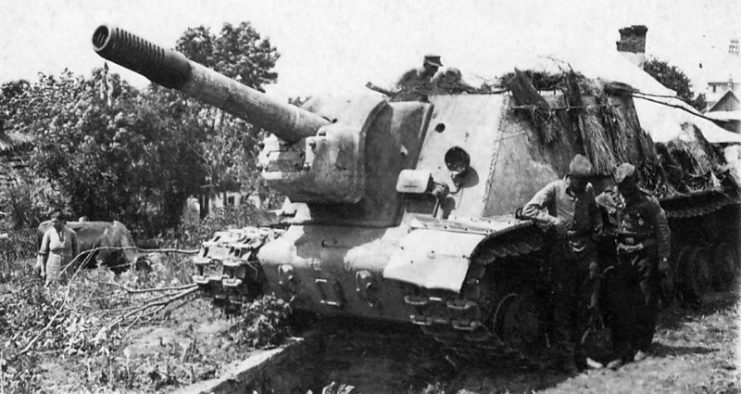 After the Battle of Kursk, the ISU-152 was provided with armor-piercing rounds as its tank-killer potential was fully acknowledged. 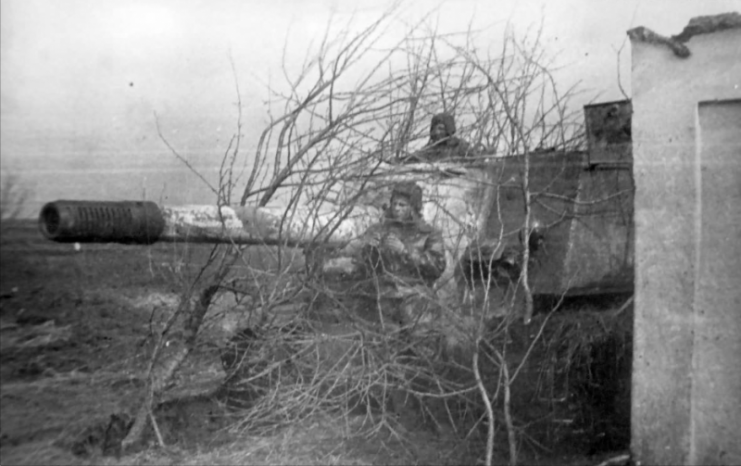 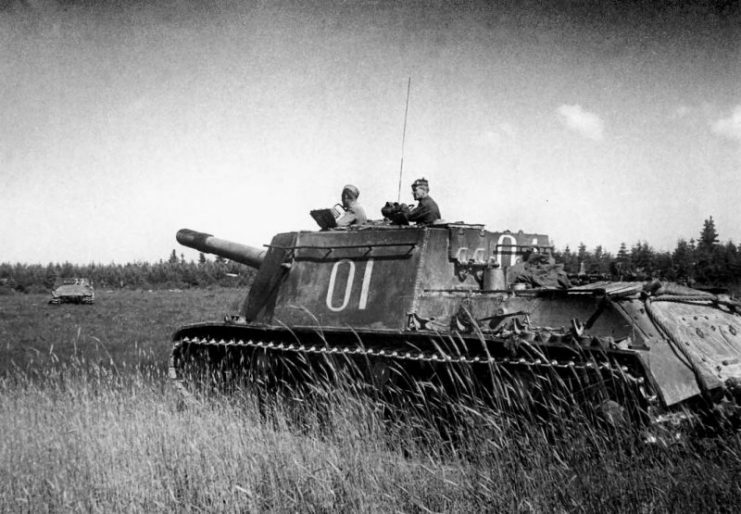 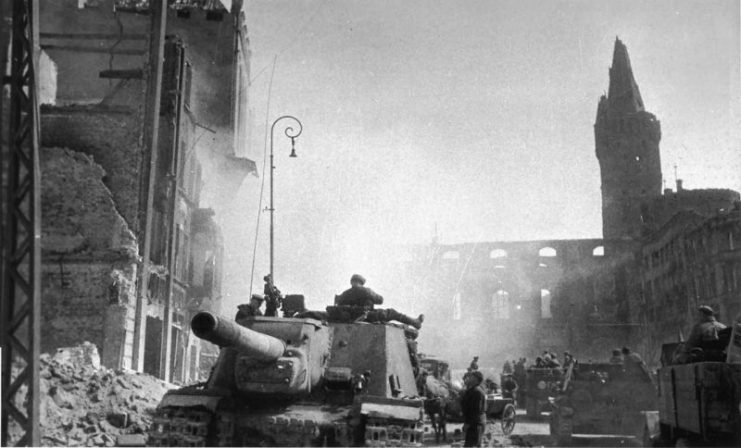 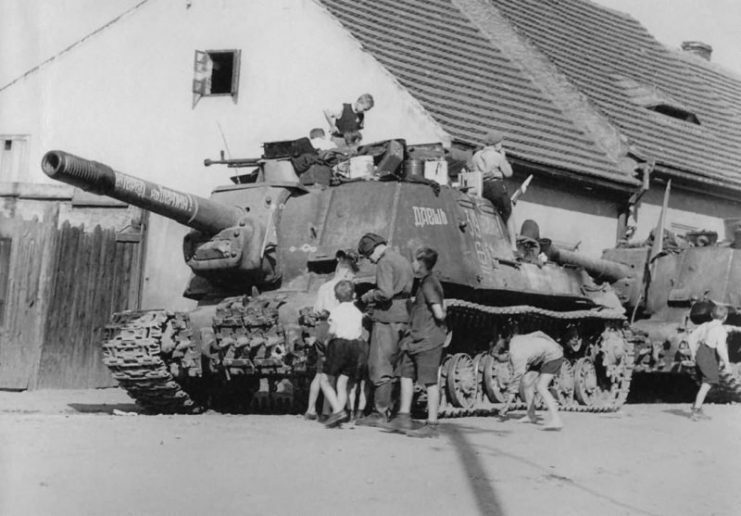 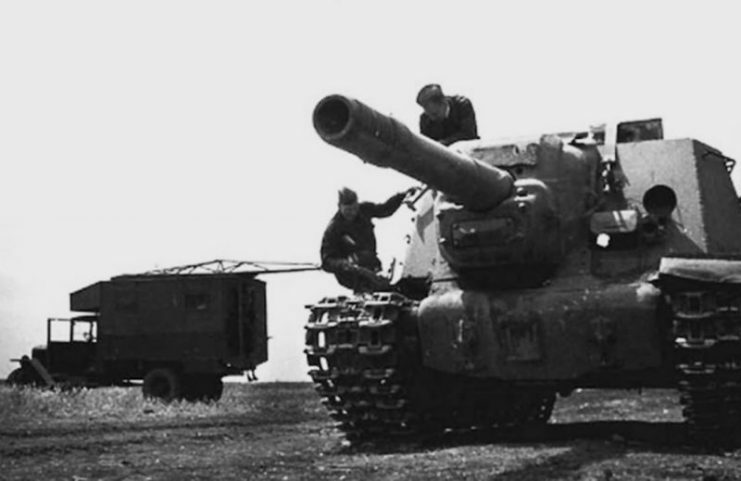 At medium range, the Beast Killer was capable of knocking out the heaviest of German armor, including the rarely-fielded Elefant and Jagdtiger tank destroyers. 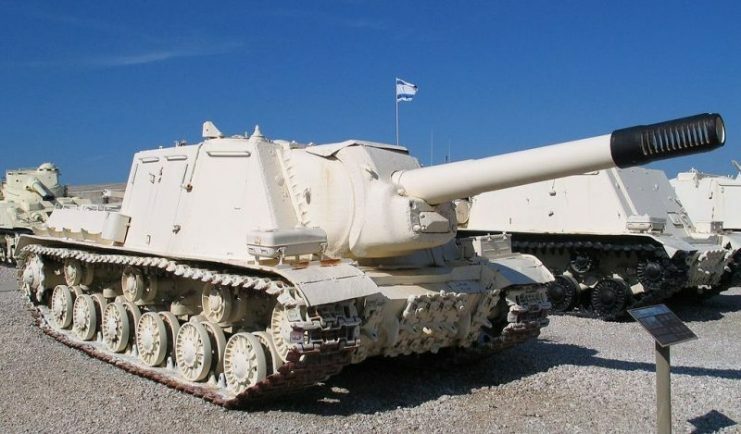 ISU-152, in Yad la-Shiryon Museum, Israel.Photo Bukvoed CC BY 2. 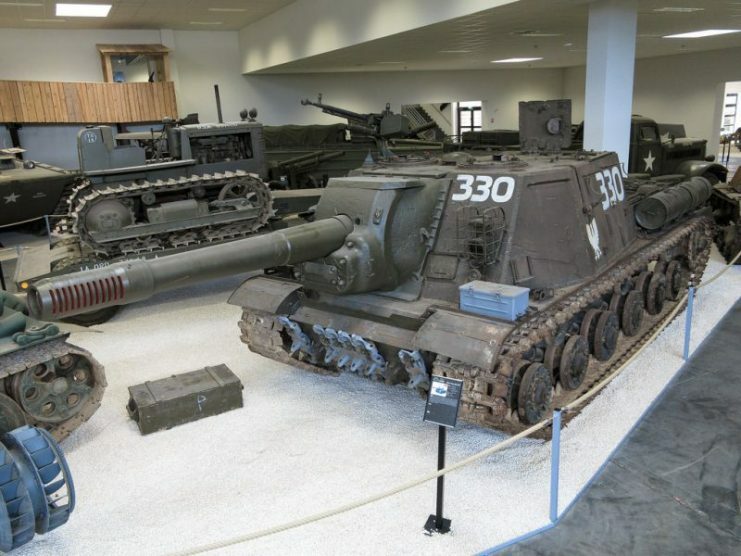 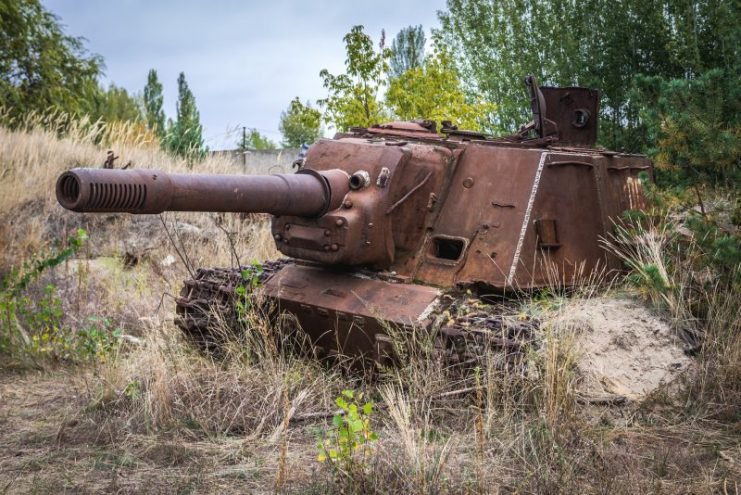 It was usually equipped with 13 high-explosive and 7 armor-piercing or concrete-piercing rounds per vehicle, as its internal stowage could hold only 20 or 21 rounds of ammunition. 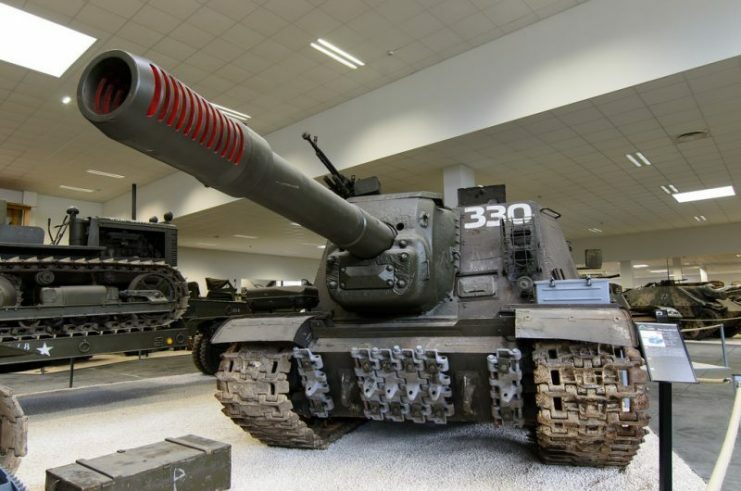 The size and weight of each round, lack of storage space, and fairly difficult loading process were disadvantages that were reflected in the rate of fire. 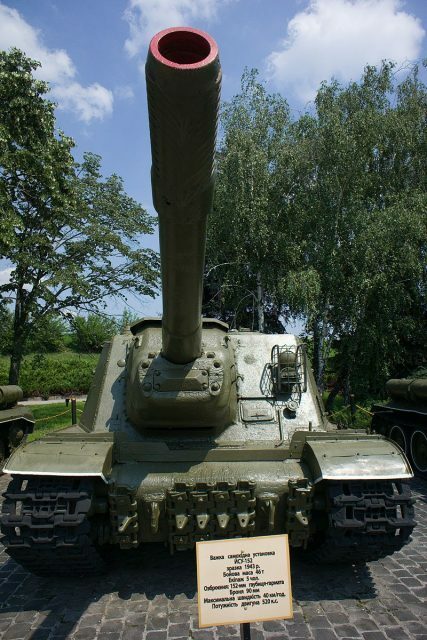 The other thing that plagued the ISU-152 was the use of two visors, telescopic and panoramic, depending on the distance of the target. 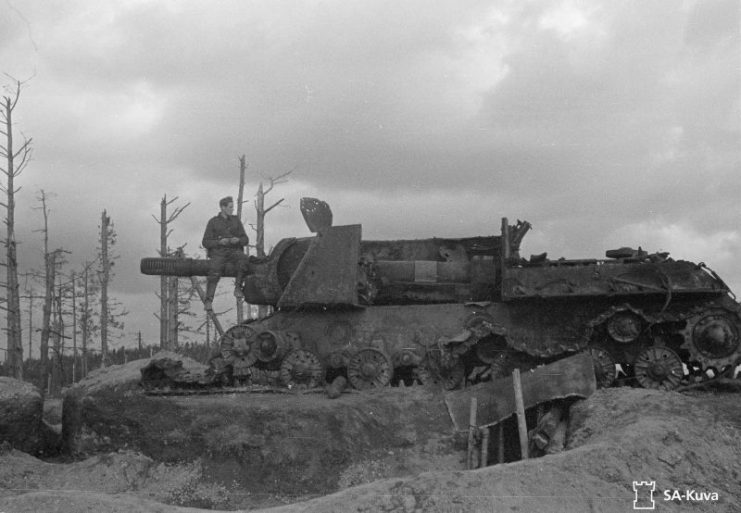 It proved rather difficult for the gunner to switch between the two, resulting in a lack of accuracy. 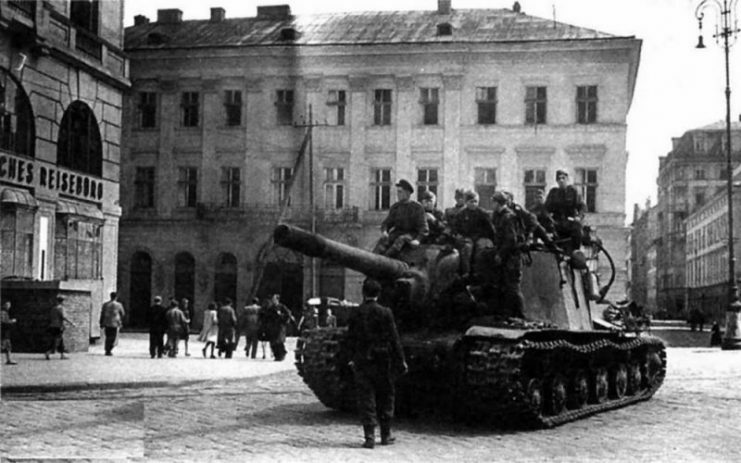 After WWII, the ISU-152 was mostly exported to the countries of the Eastern Bloc, as well as Egypt, North Korea, China and other traditional allies of the USSR. 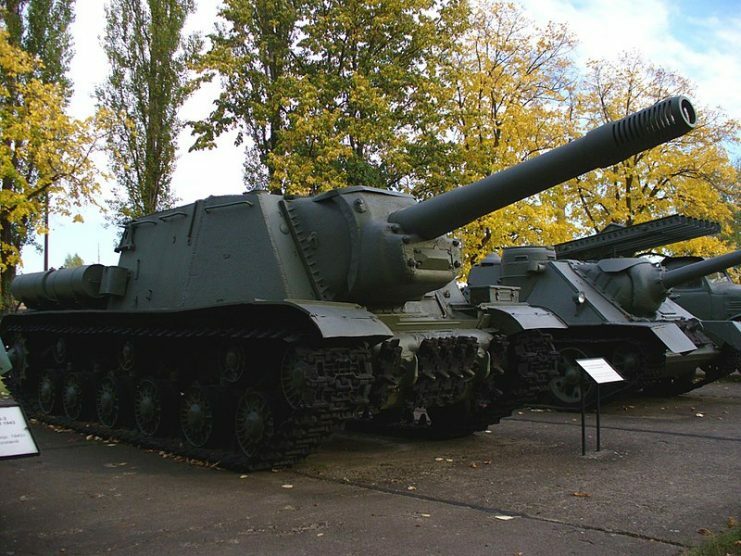 The ISU-152 was reportedly last used in combat as part of the Iraqi forces during the First Gulf War in 1990.